This entry was posted in COMMON CORE/CSCOPE - GENERAL, COMMON CORE/CSCOPE/CES CONNECTION, WHAT ARE THEY LEARNING? and tagged anti-Semitic, ATLAS Communities, CCSI, CES schools, Coalition for Comprehensive School Improvement, Coalition of Essential Schools, College Board, College Board Schools, Common Core, CSCOPE, David Coleman, Grant Wiggins, Howard Gardner, indoctrination, Israeli teens, James Comer, James Rubenstein, Modern Red Schoolhouse, Palestinian suicide bomber, Pearson, Tennessee, The Cultural Landscape: An Introduction to Human Geography, Tim Gaddis, Williamson County Schools. Bookmark the permalink.
. . . pro-communist CSCOPE curriculum . . . Very specific homework assignment for me there, huh? 🙂 Just curious, why five?? The fact that there are more than 5 communist/marxists creating lesson plans and training Texas teachers on CSCOPE lessons should be enough to halt this program completely. Further, although not specifically pro-communist on it’s face, the pro-Islamic, anti-American lesson plans, of which there are many, are being used to deconstruct in the minds of children the fact that America is a country of freedom and liberty. They are used to paint the US as oppressive to move children toward revolution against this ‘oppressive/capitalist system’. This is the stated goal of those with Annenberg and CES (both behind the building and implementation of CSCOPE). Whether “communist”, “socialist”, “marxist”, or “progressive”, the lessons and indoctrination taking place with those lessons undermine every tax-paying, freedom-loving citizen whose tax dollars pay the salaries, benefits and retirement of these educators — educators who sneak around behind the backs of parents to teach this garbage to their kids. I have a lot of catching up to do on my site this weekend and little time to do it, so there are a couple of pro-communist lesson plans below this reply, and you can find more by searching this website and by going to http://www.redhotconservative.com/ and http://www.txcscopereview.com/ — or ask the ladies at those websites for more. They are in Texas and have copies of several of the lessons. I still can’t figure out what your complaint is. I can only imagine that you never studied any of this stuff at any time before, and you don’t understand the answers now. Very specific homework assignment for me there, huh? 🙂 Just curious, why five?? Because five would be a start on some indication of significance. As it is, no one has been able to point to any significant error or bias in any lesson or lesson plan or any other material I’ve seen. You complain as if there were a serious problem — I’m assuming you’re a rational being and would not complain with no evidence. The fact that there are more than 5 communist/marxists creating lesson plans and training Texas teachers on CSCOPE lessons should be enough to halt this program completely. Well, that’s true ONLY if I accept your definition that Baptists are secretly communists. Of the three score or so teachers I know who have contributed to CSCOPE, most were staunch Republicans — delegates to the Texas GOP convention. Actually a few were Methodist, but most good, life-long Texas Baptists. They graduated from institutions like SMU, TCU, Abilene Christian, and Dallas Baptist University. You know of five communists in Texas? Can you name them? Were any of them affiliated in any way with CSCOPE? Further, although not specifically pro-communist on it’s face, the pro-Islamic, anti-American lesson plans, of which there are many, are being used to deconstruct in the minds of children the fact that America is a country of freedom and liberty. I can find no such lesson plans. Irving ISD did a comprehensive analysis of CSCOPE social studies plans, and they found a hard pro-Christian bias. Islam is not presented in a favorable light in any lesson plan — sometimes, there is no harsh judgment against Islam, bu that’s not the same as promoting Islam. So again, I ask you for evidence, not smear claims. You think there were pro-Islam elements? Please show us. No one has been able to find any that they can show anyone else. They are used to paint the US as oppressive to move children toward revolution against this ‘oppressive/capitalist system’. I hope you won’t take offense, but that’s crazy talk. Nothing in CSCOPE paints the U.S. as oppressive. That’s contrary to Texas standards (do you know the Texas standards?). This is the stated goal of those with Annenberg and CES (both behind the building and implementation of CSCOPE). No one from any of the Annenberg organizations had anything to do with CSCOPE. But I wonder if you’ve lost touch with reality. Walter Annenberg was a close friend of Ronald Reagan, a hard-core, right-wing, red-white-&-blue flag waver. He was the U.S. ambassador to England, and a very rich guy who made his fortune in publishing (TV Guide). Annenberg was anti-communist, and Christian. So when you start out accusing right wing figures as communist, I gotta wonder if you have a clue what you’re talking about. CSCOPE was created in Texas, by Texans, because smaller districts didn’t have the money to buy all the curriculum stuff from Pearson and other big-dollar publishers — and this became an acute problem three years ago when the State Board of Education finished revamping curriculum standards, but the Texas Lege cut money for books. We were stuck teaching to a new curriculum requirement with books that didn’t contain the information we needed — and with the tests being changed to incorporate the new material that is not in the texts. You, of course, never having had to teach to 150 kids, can’t imagine how to create lesson plans to deliver information cold. Teachers simplyu don’t have the time. Texas also refused to join the states creating new standards for use in many states, so that meant that Common Core materials are unavailable to districts in Texas. CSCOPE was the money-saving, education-saving answer your Texas neighbors came up with — that woman down the street who teaches third grade and your Sunday School class on Sundays. You’re calling her a communist. Wow. Why do you go to church with communists? Whether “communist”, “socialist”, “marxist”, or “progressive”, the lessons and indoctrination taking place with those lessons undermine every tax-paying, freedom-loving citizen whose tax dollars pay the salaries, benefits and retirement of these educators — educators who sneak around behind the backs of parents to teach this garbage to their kids. That’s a lot of hooey. Glenn Beck complained about a brief economics lesson that said Adam Smith’s book on free markets was written before Karl Marx wrote (heck, it was written years before Karl Marx was born!). That’s silly, but accurate. Beck complained that the lesson graphics were pro-Marxist, but the chart he used said that communism interferes with personal freedom more than socialism and much more than capitalism. That’s accurate. So if you think that’s a problem, I can only conclude that you don’t know what you’re talking about — either you don’t know what’s in CSCOPE, or you don’t know history and economics. In either case, what you complain about is considered “crazy right wing” by other states — and you call it “socialist/Marxist.” Weird. I have a lot of catching up to do on my site this weekend and little time to do it, so there are a couple of pro-communist lesson plans below this reply, and you can find more by searching this website and by going to http://www.redhotconservative.com/ and http://www.txcscopereview.com/ — or ask the ladies at those websites for more. They are in Texas and have copies of several of the lessons. They can’t offer any examples, either. A question about what sort of economic system an idiot who likes to be bossed around would feel comfortable in: “Mary does not like to make choices. She likes to be told what is expected of her.” It’s a sarcastic dig at communism. One might complain about the sarcasm, but it’s pro-free enterprise, anti-communist. Are you secretly a communist? Or did you fail to read what you complained about? During the lifetime of many of the teachers who will be delivering this lesson, the world was divided into two camps: free and communist. These two rival political and economic systems battled for control of the world (See Unit 11: The Realignment of Nations). But where did they start? What were the goals behidn the two systems? The ideas of socialism and communism were born of the Industrial Revolution and the plight of the workers. Although we in the United States have been somewhat conditioned to detest everything communist, the theories were created to help the people better understand their lives and to help level the playing field for all people. Put yourself in the conditions of the 19th century industrial worker and the ideas of Marks start looking pretty good to a vast majority of the people. Class struggle, private property, classless society, and command economy are the major elements of communism. Marx viewed all of history as nothing but a story of how one group of people oppressed another. Teh advantage that they had was private property; ownership of the means of production allows a person to control the profits, and therefore wealth and social status. The obvious way to make this happen is for the government to take control of all property capable of creating wealth which will give birth to a classless society. With the government in control of the means of production (and the people in control of the government) they will command the economy. The command economy is the antithesis of the laissez-faire / market driven economy. When the USA speaks of equality, the focus is on political equality, with the hope that other forms of equality (economic and social) will trickle down. Marx wanted economic and social equality for all people — right then and through a revolution. Where do you find any error in that? I could punch up the writing, and make it less ambiguous in a few places, but that’s accurate history. Marx wanted revolution to get equality; Marx wrote in answer to the excesses and abuses of the industrial age. In the U.S. we had a union movement, granges, and a host of other democratic reforms that got rid of many of the abuses — child labor, cruel working conditions for hourly workers, and lack of opportunity for workers. It’s one of the most fascinating stories in history, how America avoided a more communist path, and achieved the few noble goals Marx spoke about, while Marxists and communists did NOT achieve those goals, and instead stumbled into totalitarian systems of astonishing oppression. The world was indeed split in two camps, essentially (overlooking the “non-aligned nations” for a while, and leaving out the Fascists in Europe and the Middle East, who essentially disappeared with the end of World War II, at least in the open). So it’s an accurate, though too-brief description. What do you complain about there? That’s only a problem if you think corporate bosses ought to treat employees like slaves, without question, and if you think that millions of workers at low wages is a great idea. Did you look at the Blaze material? That lesson casts China in a pretty harsh light — millionaires oppressing workers, a government that abandons its principles of working “for the people” when the leaders get a chance to make a buck instead; profane, belligerent leaders taking gross advantage of workers who can’t do anything about it because they don’t vote. Not to put too fine a point on it, but what in the world is wrong with the idiots at the Blaze that they think that makes the U.S. look bad? We need to study China more, not less. We have, again, great economic battles raging over the Earth. In the 20th century, capitalism came out on top, with almost all economists rejected any hope for communism. No communist nation was able to make a good, easy and swift transition to more capitalist and more democratic institutions, except those where those principles had never been snuffed out (Poland and the Czech Republic did okay); in the 21st century, China and Vietnam pose the question again: Is it possible to transition from no economic and political freedom to a system that offers economic freedom, but no great political freedom? What, specifically, do you find objectionable in that lesson plan? Did you want the factory owner to be portrayed as a nice guy and a George Washington, just because he’s nominally a “free-enterpriser” now? Did you want the lesson to lie in some way about oppression of Chinese factory workers? How, by pretending they aren’t oppressed, or by claiming the profits don’t exist? As I suspected, you are not able to articulate any cogent objection to any CSCOPE lesson plan; the closest you come is a complaint about a Pearson lesson plan. Your followers must be fools. With the death of CSCOPE, school districts are, by necessity, turning to Pearson to buy curricula. Pearson financed much of the calumny campaign against CSCOPE, and you got duped by them. You should be ashamed of your actions, especially if you think Pearson is a problem. 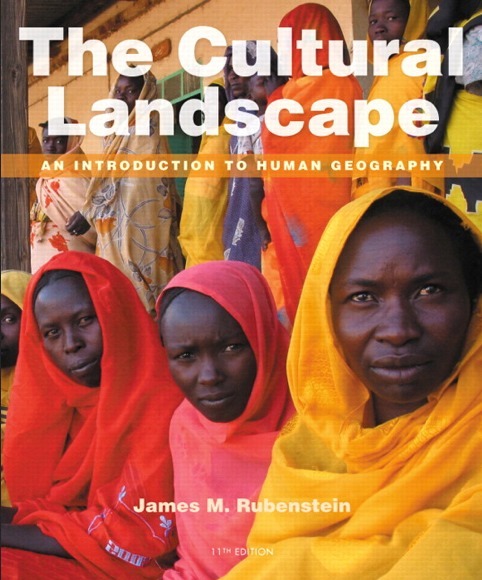 You’re aware that the Rubenstein book is for AP courses? Please convince me you’re not just anti-intellectual, and anti-learning. Can you? If you can convince me that you read more than just the titles to my posts before commenting on them…. because it appears you do that alot. This post you are commenting on does in fact say it is an AP book. You’re right. You did say that. Now I’m really confused about whether you know what goes on in classrooms. Your criticisms of the book are way off base under any analysis — but how should a college-level class deal with those issues differently? His book doesn’t call the Tea Party a terrorist group, either. Should it be disqualified for that reason? You did mention it was an AP book. How can you fail to understand the increased rigor required of AP books, and the increased scrutiny such books have? I take it you’re opposed to AP classes? So you’re saying you really are anti-education and anti-intellectual, yes? I’d like to know what necessarily is anti-Semitic about giving a fair assessment of Hamas and Hezbollah. For all intents and purposes, their efforts are political and more in line with something like the Tea Party than al-Queda or the Taliban. Hezbollah’s efforts are in pursuance of statehood, which is pretty much the same thing Israel did/is doing. How many suicide bombings have the Tea Party carried out?